Use this website to quickly find the most important information about Xi’an Xianyang International Airport: Flights, Departures, Arrivals, Parking, Car Rentals, Hotels near the airport and other information about Xian Airport. Plan your travel to XIY Airport with the information provided in this site. Xi’an Xianyang International Airport (IATA: XIY, ICAO: ZLXY), is the main airport serving the city of Xi’an, the largest and capital city of Shaanxi Province, in Guanzhong. It is located at 41 kilometers northwest of Xi’an, in Weicheng District, in Xi’an city, and at 13 kilometers of Xianyang. It is, in fact, the second largest airport serving Northern China in terms of passengers. Xian Airport is nowadays a hub for the major carriers Joy Air and Hainan Airlines. 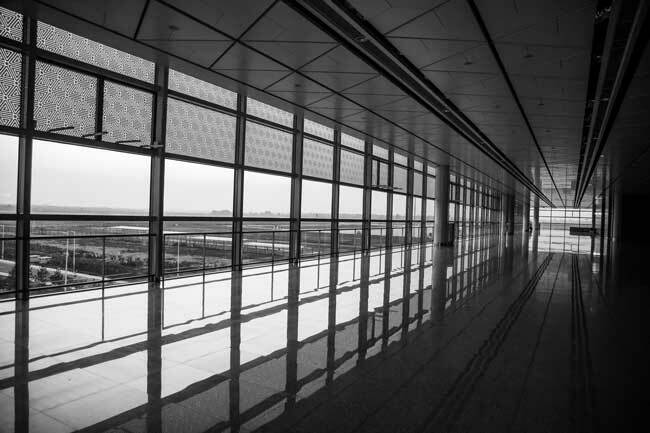 Xian Airport has three airport passenger terminals. Xian Airport is the second largest airport serving Northern China. 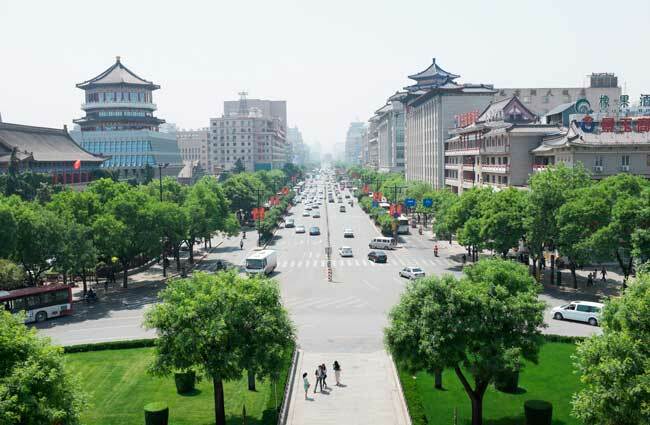 Xi’an is the largest and capital city of the Shaanxi Province in North-western China. 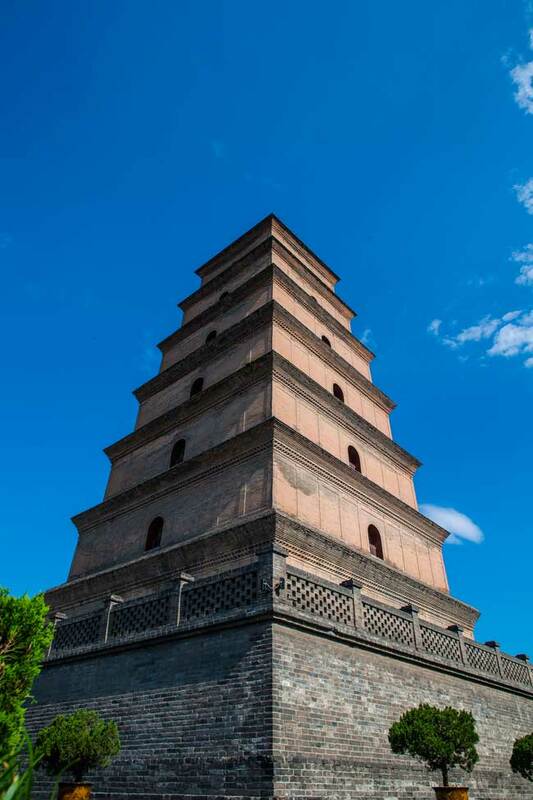 Xi’an is also famous for its pagodas, especially for the Big Wild Goose pagoda. 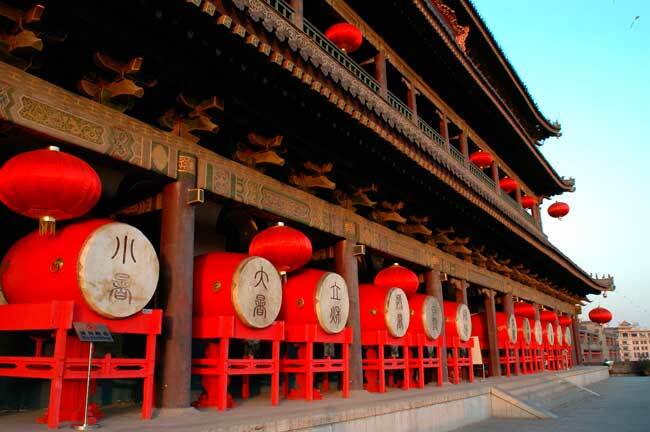 The Drum Tower, along with the Bell Tower, are sights worth to see within Xi’an. Xian Airport is the largest airport serving Northwest China and the 8th busiest in the world. 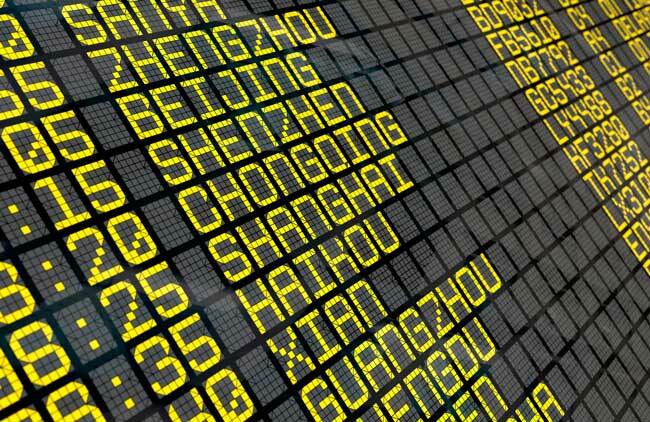 Xian Airport handled over 36,994,506 passengers in 2015. Terminal 1: Xian Airport Terminal 1 just hosts seasonal charter flights and domestic routes through China. Terminal 2: Xian Airport Terminal 2 serves domestic and regional flights. Terminal 3: Xian Airport Terminal 3 is the international terminal, whereas it serves some domestic flights. Bus: The Xian Airport Shuttle lines are at your disposal to get to Xi’an safe and sound. Train: If you wish to get to any of the railway stations of Xi’an, you need to pick up either a bus or a taxi since Xian Airport is not directly connected to them. Taxi: By taxi you can reach Xi’an within 30 minutes. Car hire: It is not allowed to drive in China unless you possess a valid Chinese driving permit. At Xian Airport you will find suitable options adapted to the passengers’ needs. Just remind you you can book your car online through our searching engine! Xi’an is the largest and capital city of the Shaanxi Province in North-western China. The city is one of the four Great Ancient Capitals of China along with Beijing, Nanjing and Luoyang, though lately there have been added Kaifeng and Hangzhou into this classification. 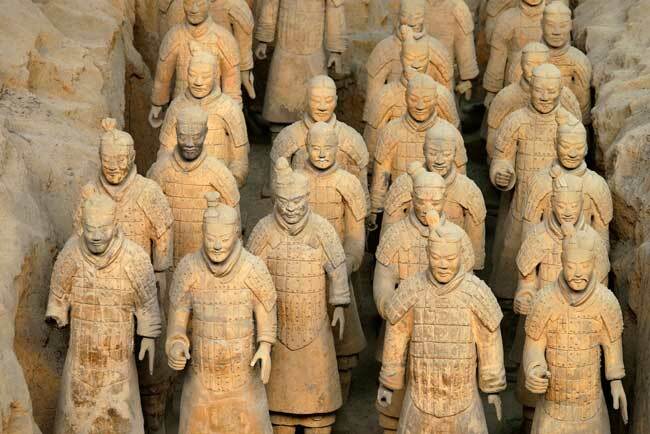 Xi’an is world famous not only for being the start point of the Silk Road, it is also home of the Terracotta Warriors. If you are planning to visit Xi’an, the best season to do it is without a doubt in Autumn. Due to its 3,000 years of history, many of the sights in Xi’an are burial sites such as the tombs of the Zhou dynasty kings. Mausoleums are also worth to visit, you shouldn’t miss the Han dynasty one; also the pagodas are located within the city, especially the ones belonging to the Tang dynasty like the Giant Wild Goose Pagoda. The city wall is well-preserved, which was built during the early Ming dynasty. Other interesting sites are the Great Mosque of Xi’an, the Bell Tower and the Drum Tower, the Stele Forest, etc.